it. was. mother. puppin’. HIDEOUS! at some point loooong before we moved in, it may have been a nice beige color (if you can call beige “nice,” lol). but after years of wear, tear, puppy accidents and doggy stank (dog owners, you know the exact type of “stank” i’m referring to), it was in really bad shape. the kind of bad that even a professional carpet cleaning service can’t fix. but don’t look at me, those stains weren’t my fault. weeeellll ok, maybe that one near the front door might be from the time i got a little too excited for the neighbors to come over for dinner. …and the stain under the dining room table, yeah… that one might be from last christmas when my grandpa-human fed me too much beef and i sorta threw it all up. and then some. but the stains and crummy texture weren’t the only paw-blem. 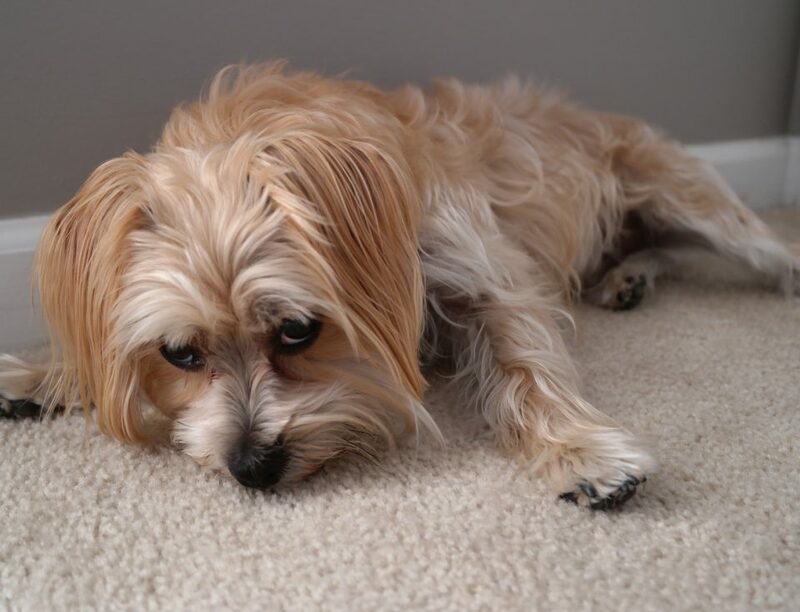 the carpet was the exact same color as my fur! NOT COOL, man, not cool. but my days of walking around on grody carpet were numbered! 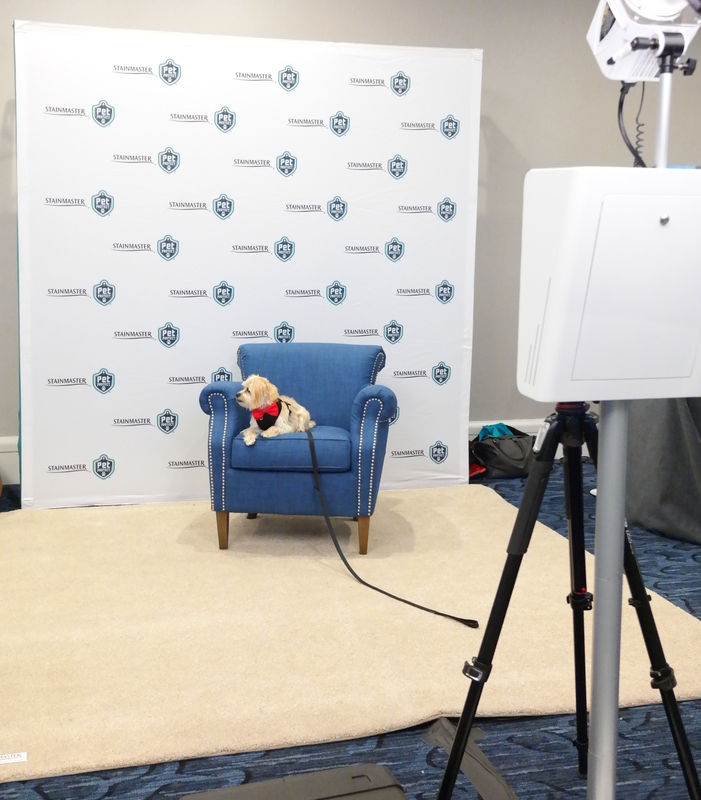 a few weeks ago i visited boston for the Wayfair #HeartHome conference and spent some time hanging out at the STAINMASTER® photo booth. 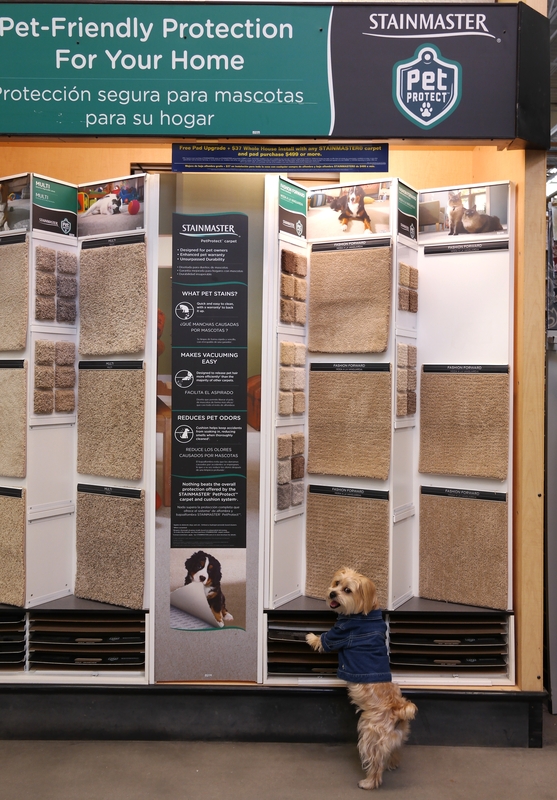 they told me about the new STAINMASTER® PetProtect® carpet and cushion system, and i was like, wait, what the pup is this stuff?! I NEED THIS ASAP! i’m not sure who was more excited: me, or the human! 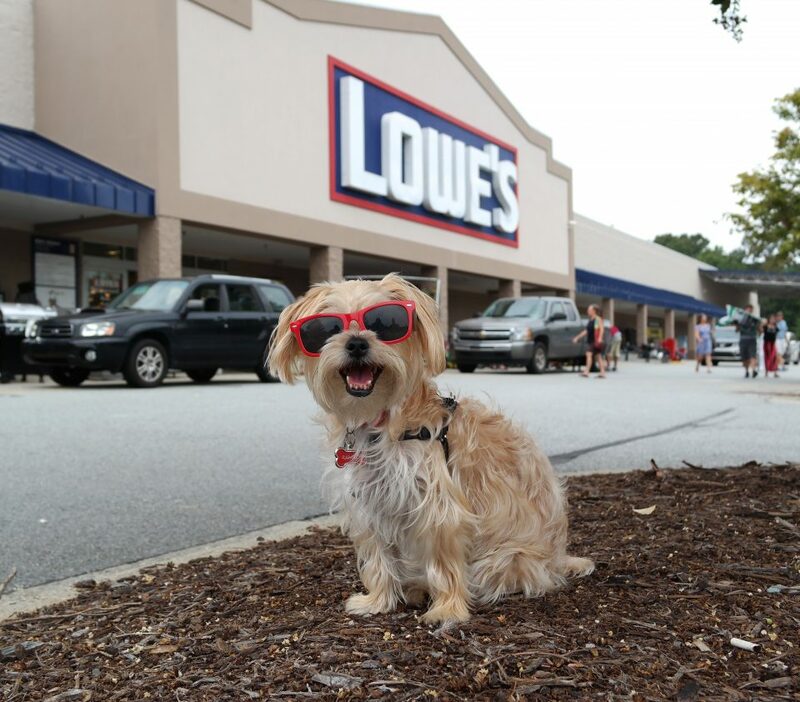 when we got back home from our trip, we took a trip to lowe’s home improvement to check out all the different STAINMASTER® carpet styles and colors. 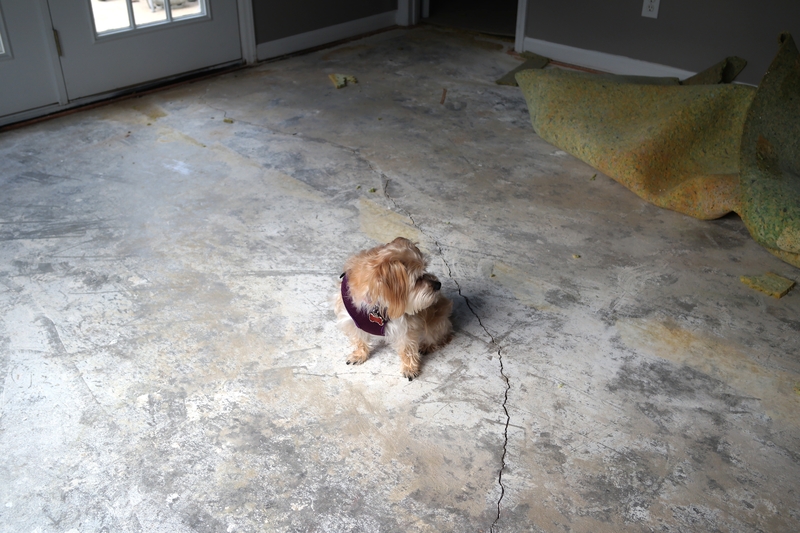 we were FINALLY going to get some NEW carpet installed in our house! 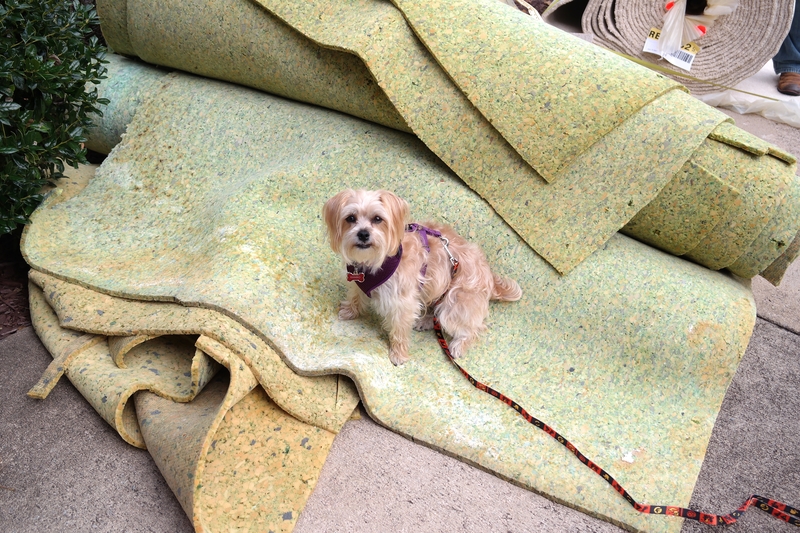 you might think that a light colored carpet + dog = total disaster, but not this stuff! PetProtect® is specially designed to resist stains, reduce odor when cleaned, and easily release pet hair. at this point, i was more than ready to say, “see ya later – i mean NEVER!! !” to the old carpet and really gross pad. see ya disgusting old pad. BTW, i can’t believe you’re making me put my bum on this. like, ew. it’s so gross. after the guys from lowe’s tore the old flooring out and cleaned up all the dust, dirt and other junk that was under the old pad (so gross), they installed our new STAINMASTER® carpet pad. 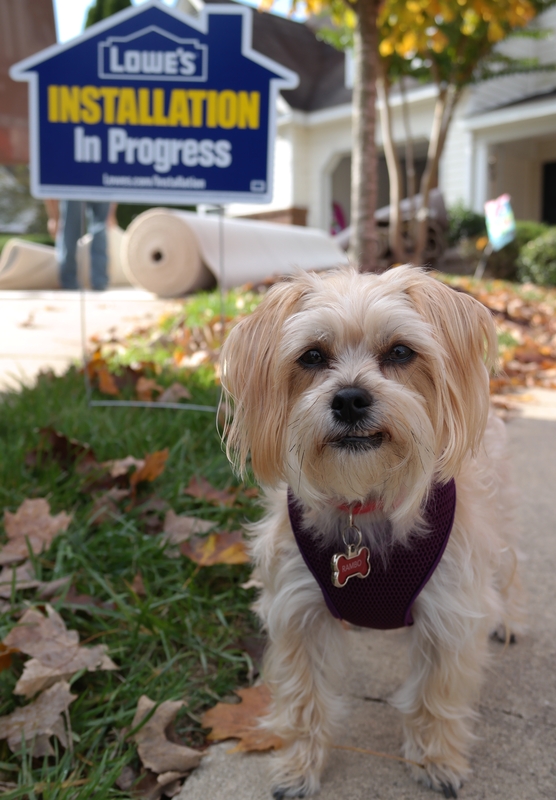 then came the exciting part (well, not as exciting as bacon, squirrels or doorbells, but it was close): they installed “lucy” overtop the fancy new pad! new carpet on the left, old gross carpet on the right…it’s like night and day! and once it was all done, i was floored! 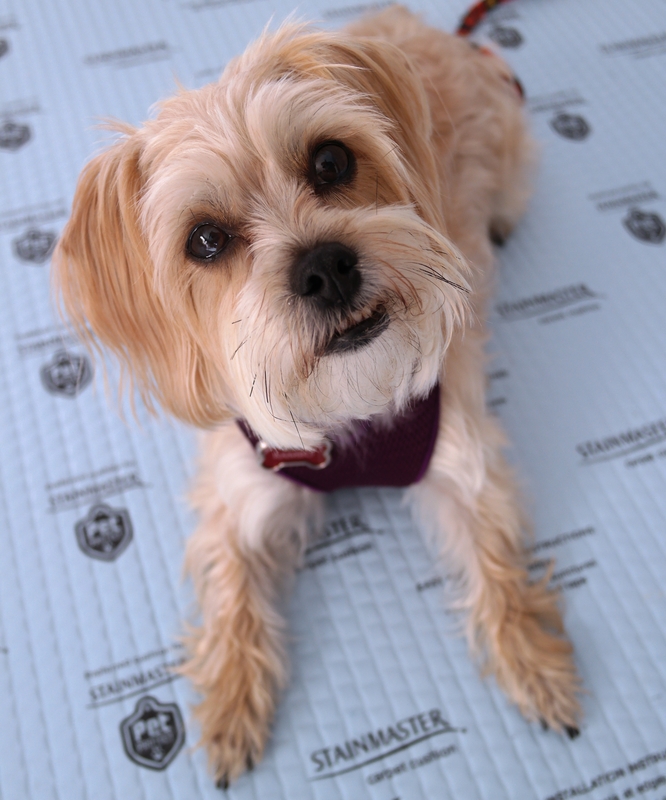 our new STAINMASTER® PetProtect® carpet is super cushiony and so mother puppin’ soft that it kinda feels like i‘ll get in trouble for walking around on it …except i won’t! and this new, lighter color looks paw-some with our new furniture, and is like, the paw-fect backdrop for my puppy photo shoots. 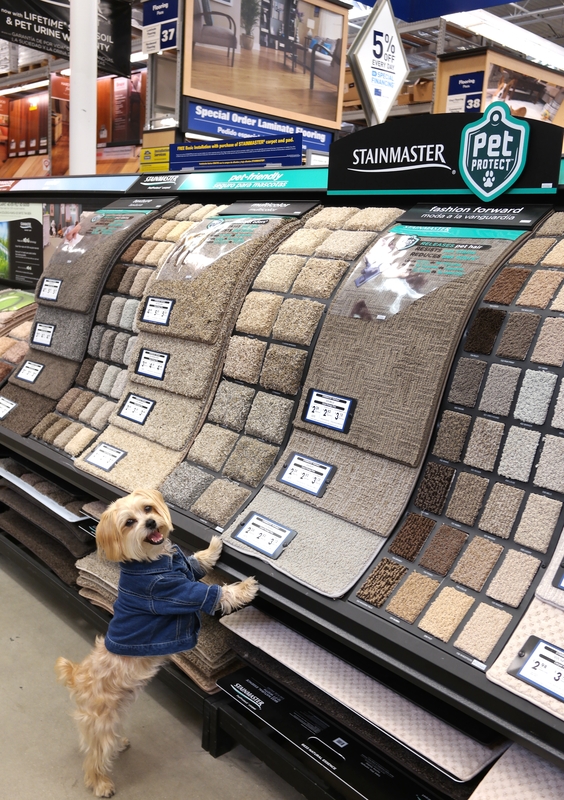 a big thanks STAINMASTER® for my super duper mother puppin’ awesome new carpet, and another big thanks to lowe’s home improvement for installing it! my tootsies have never felt better…and our house has never looked so #fly! p.s. want to hear more about my stainmaster carpet adventure? 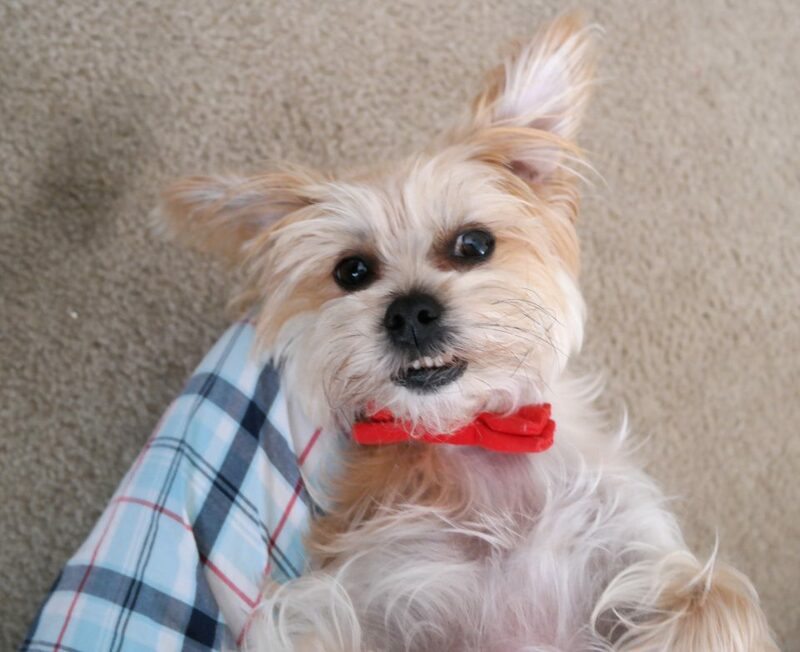 check out my fancy-schmancy feature on the barkpost, my favorite blog ever! LOVED all the pix and especially the stain descriptions (roast beef, etc), hahaha! My carpet looks just like ur old carpet 🙁 oh oh, I guess I better head to Lowes and get me some Lucy. fantastic job, human, u got me motivated now! 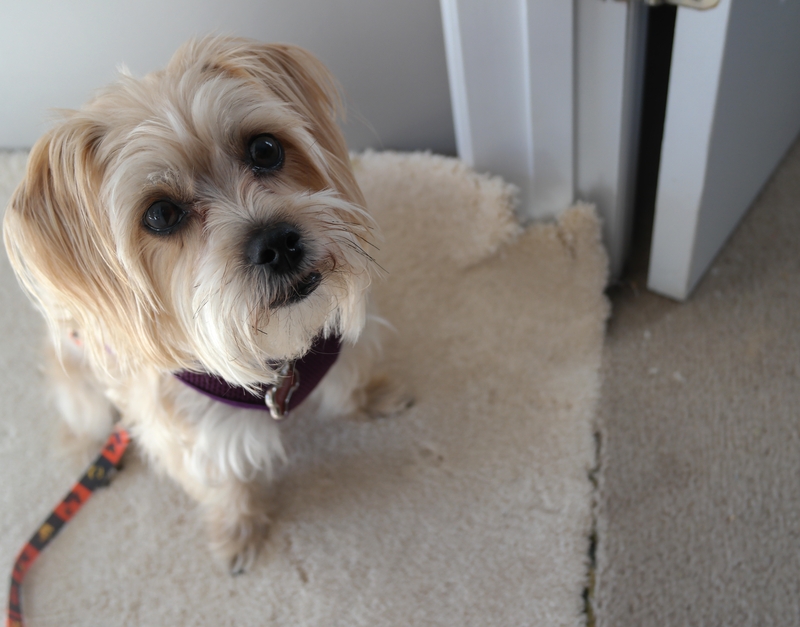 You are one lucky pup new carpet,New couch,table…a good life to share with your human. Darling pup and cute blogs!! Wondering what breeds of dog Rambo is?? 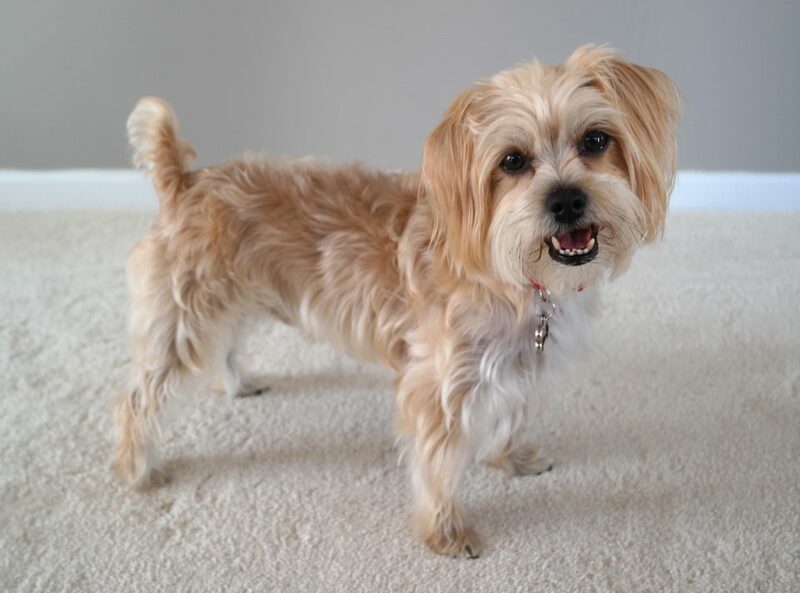 and Rambo has many characteristics of Havanese…not just looks but fun personality, too! I understand he came from a shelter but thought you might know. And you can have your dog’s DNA done inexpensively and easily now (not that it matters😍). Enjoyed your posts! hi pamela! 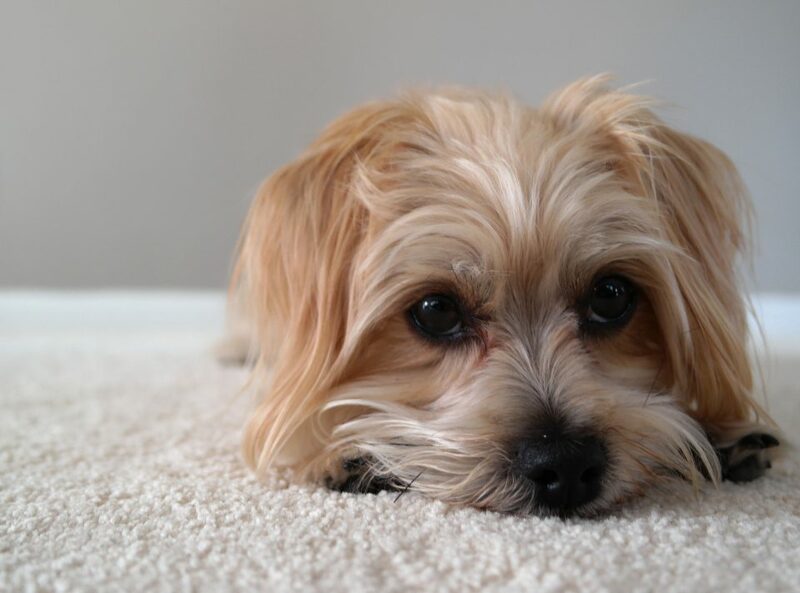 thanks for your comment 🙂 i’m a maltese yorkie mix. 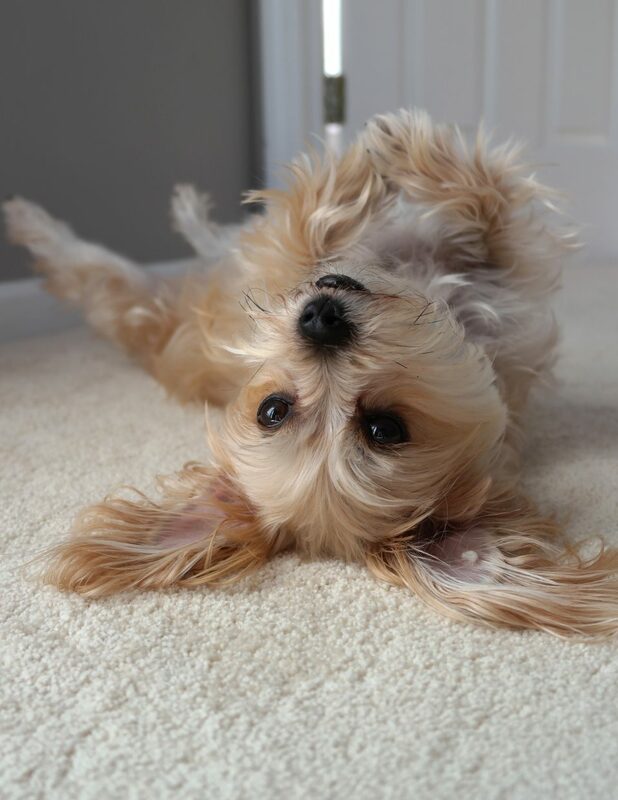 i bet your havanese is super cute!